Discovering weight training over 50 is a positive step in reversing the aging process. As we age, bone density and muscle fibres shrink in size and numbers. Cardiopulmonary activity also slows as we move further into maturity of adulthood. Some folks have a natural tendency to think that they are simply: ‘past the prime of their life’, I am 56 and the way I see it is... We are only entering another stage of our prime. The bodies muscle and bone structure also needs nourishment, weight training provides this. Performing some of the better exercises suited for your age and lifestyle, you will see and feel noticeable differences as your body’s overall strength increases, so; lets add a challenge and rediscover what it's like to feel 25 again! Why Weight Training Over 50? If you’re brand-new to pumping iron and weight training in general and in your later 40s, 50s or beyond the years of early maturity: moving into strength training, should be done slowly! Learning the exercises to condition your mind and the muscles you’re exercising, goes a long ways to reaping the most rewards and benefits from weight training over 50. Here is a list of a few things you should pay attention to before you start. Give serious thought to seeing or consulting with your Dr. or health care provider, as they can help you assess health risks if you have any? Assessing your physical condition accurately is important at this point, know your limitations. 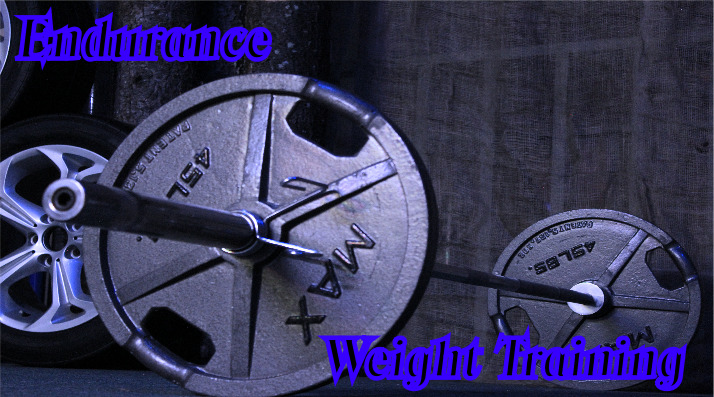 Take the time to set up a modest strength training program that will give you the best results for your lifting level. Try to avoid performing weight training more than three times per week providing a day of rest in between each day you train. If you’re completely new and can afford it, hire a reputable personal trainer, at least for a few months; to put you on the right track of exercise form and function. Consider starting off with cable-based machines, to help build confidence, strength and coordination first. Free weight training requires a little more skill and concentration in the beginning. In this article I’ve provided some great multi-joint exercises, with Set and Rep ranges and a weekly training schedule of how to use them. Along with some cardio and Calisthenics exercises to help strengthen and condition you’re Core! Ultimately, only you can assess your athletic level, you decide what you’re comfortable with in the gym, whether it be free weights or machines. To avoid tight, stiff muscles on days off, spend five or eight minutes of just stretching the legs, shoulders lower back etc., where ever you’re experiencing joint and muscle stiffness. This is normal, even at a conditioned level, but does tend to come on as we age - stretching goes along ways in reducing body stiffness. So how should I weight train after 50? The exercises in weight training over 50 can be machine or free weight-based; depending on confidence, ability and fitness level, you choose which exercises you think may benefit you the most. Free weight training generally increases strength and muscle mass; the bodies central nervous system often has to work harder to balance and stabilize the resistance of free weights. If you are new you could try starting with machines, as you build confidence over the next few months, then graduate to some of the different free weight movements, practice builds confidence. Always train the big body parts first like: back, chest, quads etc. I have provided sequential images of how the exercises are performed with free weights or using a comparable machine to stimulate upper or lower body muscle groups. Note: weight training and conditioning for everyone needs interest and fun! Be creative and dynamic, cycle your training, change-up the exercises, music, even the clothes that you wear, whatever it takes to get you continually going to the gym. Note: the exercises and their numbers are shown here as a guide; don't try to perform all the exercises, pick one or two for different body parts, experiment with them until you feel comfortable, the amount of exercises shown are for your variety. This movement builds muscle and strength in the overall upper back and arms. Starting with the knees slightly bent, keeps some of the stress off the lower back. Start by: leaning forward towards your knees, using the legs to stabilize yourself, pull only with the arms. Stop when you're upper torso is straight up-and-down, forcing your chest out pulling your elbows back. Starting with the same knee and hand resting on a bench, your knee and hand will act to stabilize in this free weight exercise. Start with the dumbbell hanging at arm's length, pull the weight up to the side of your rib cage, lifting the dumbbell as high as you can, but not lifting or turning your body as your preforming the exercise - return to the start position. This exercise works the extreme Upper and outer-back. Assume an overhand past shoulder width grip, pulling the bar down until it touches your upper chest. Force your chest out and pull your arms back for a nice contraction in the bottom end of this exercise - return to the start position. This exercise works the upper chest, shoulders and triceps, start with: the bar just touching the upper chest, with a slightly wider than shoulder width grip. Start by: pushing upwards, this is a great exercise machine to help you keep your movements smooth and fluid. As you reach the top try to avoid fully extending the elbows this (keeps the tension on the chest), make every repetition count in this exercise. If you're more confident, this is a free weight exercise for upper chest that will increase strength, shoulder and pectoral size; this movement is very similar to Smith presses. Start with: a wider than shoulder width grip, lower the bar to the top of your upper chest - drive upwards while avoiding locking out the elbows at the top, complete your repetitions. This exercise works and stimulates the front shoulders, and overall chest cavity, machines like this help with learning control in the exercise. As with most exercises in weight training over 50, count to three or four on the way up and the same on the way down to help build a smooth tempo into your repetitions. This exercise works, the front shoulders, and overall chest cavity. 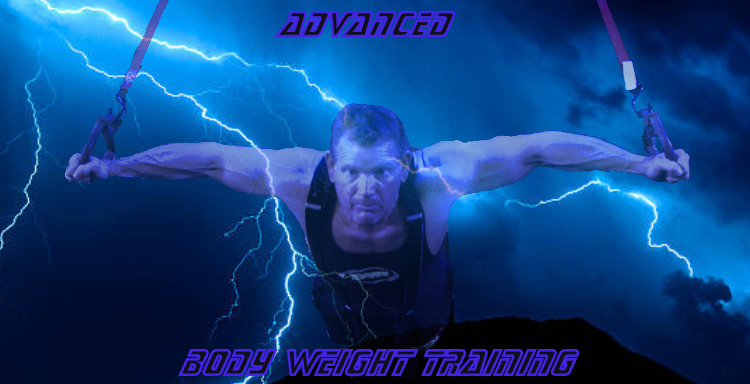 This is a great-weight training over 50 granddaddy of an exercise, that builds upper body size and strength. Avoid getting carried away with too much weight, feel the movement in the muscles. Start by: touching the bar to the mid-chest and pushing up, again avoid locking out the elbows, keeping tension on the chest nothing more. This exercise works the overall shoulder girdle, intensifying the resistance to the rear of the shoulders. Starting with: a wider than shoulder width grip, allow the bar of the Smith machine to come close to the chest, drive the resistance up with the heel of your palms. Always warm the shoulders up well before starting your regular sets. This is another shoulder exercise that works the entire shoulder with most of the stress on the Rear Deltoids. Starting with: the dumbbells at arm's length, swing them up in a smooth arc to the shoulders as shown. Drive the dumbbells up over your head, don't allow them to touch, keeping the elbows slightly bent keeps tension on the shoulders, return to the start and repeat. Standing cable curls is a great exercise for the biceps wrists and forearms, pick the resistance that allows 8 to 10 reps.
Keep the curl movements smooth and focused, allowing the biceps to do the lifting, while keeping the back straight, avoid heaving if you are; you simply have too much resistance. This works, the biceps, wrists and forearms it's a free weight equivalent of the cable curl. Starting with: hands at arm's length, bar resting on the thighs pull the weight up in a smooth arc, keeping your back straight. Apply resistance you can handle - and your biceps will grow and strengthen as you advance it your training. Cable push downs predominantly work the triceps to the rear of the upper arm. This is an easy exercise to perform. Have the resistance set to your lifting level, starting with the arms at 90°, push down until the elbows lock out, squeeze the triceps momentarily - releasing the resistance back to the starting position. Day off: some light stretching if needed to ease tension of the muscles and tendons from the previous day’s weight training if you feel you need it. Let’s reserve midweek for some cardio and core work. Cardio simply is going to encourage pulmonary efficiency; it strengthens and increases vessel size as well as heart and lung productivity. 15 to 20 minutes on a treadmill or elliptical-trainer etc. Vary your intensity levels every 2 to 3 minutes, to bring your heart rate up - if you’re new to physical conditioning, don’t overdo it! Know your limit and train within it, at least until conditioning levels have increased. If weather is nice on Wednesday, and your current ability allows, you could consider a walk or jog to your place of work or profession if it's not to far, or ride your bike. If you’re daytime schedule is too busy, plan for this later in the afternoon/evening after work. Weight training over 50 Also needs Wednesday’s reserved for core conditioning. This is without a doubt one of the most neglected areas in and on the human anatomy; is the core, meaning: front abdominals', sides, hips and lower back. Lying leg raises: this exercise works the lower abdominal's. Sets 1 – 2 Reps 10 – 15, Lying on a bench or the floor, keeping your knees slightly bent (to take stress off the lower back), raise your legs, but stopping just before 90° keeping tension on the lower abdominal's, lower legs back to starting position. As you get stronger and can increase your rep range up to 25. You will probably have to start adding resistance, e.g. holding a small soup can, between your feet or using some wrap-around ankle weights, etc. Sets 1 – 2 Reps 10 – 12 . This is a great exercise that really stretches, allowing a nice contraction with each repetition. This is a great conditioning and muscle stabilizing exercise for the central core. Be sure you provide a nice stretch and squeeze to the abdominal's as you bring the rope and the elbows down towards the knees and floor. Lower back, body weight front bends: this exercise stimulates the lower back. Sets 1 Reps 15 – 20, this is a great exercise to stimulate and condition the lower back. If you’re new to the lower back exercises start with just your body weight, as conditioning and strength increases. You can either hold a set of dumbbells or use a barbell across the back of your neck. Note: you don’t need much resistance. If you’re new to weight training and have never exercised your lower back, I would suggest only doing one set each work out until it becomes conditioned. It is normal to experience some tension for a few days, if you overdo it. To round out your 30 to 40 minutes of cardio, abdominal and core conditioning for Wednesday; I would suggest 5 to possibly 8 minutes of performing some fun, energetic calisthenics. Count your repetitions and keep them in the 15 to 20 range for each calisthenics exercise you perform, try not to rest much between each exercise, just be sure to perform them at an intensity level you can handle. 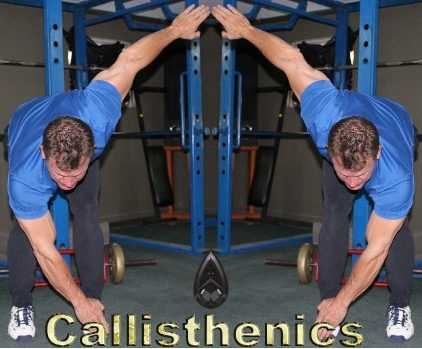 Calisthenics exercises. E.g. Side bends, bent-over toe-touches, sideways twists, good morning bend overs, crunching twists are all just a few of the many ways you can incorporate calisthenics into a good fun, cardio core exercise program for Wednesday’s. Thursday off, enjoy life Day! Some athletes old and young have a natural tendency to want to skip this day. Many just not coming to the conclusion of: our soul mode of transportation is the legs. Having them strong and conditioned only means life is easier. I cannot know each individuals athletic ability, so please: if you feel uncomfortable or unconfident in your ability to use the different leg training equipment/machines, consider hiring a personal trainer, at least until confidence has grown. If you are confident enough in your ability, by all means; train at the level that you feel comfortable with using these exercises. These are great classic lower body exercises that yield great strength and conditioning results. Note: again, the exercises and their numbers are shown here as a guide; don't try to perform all the exercises, pick one or two for different body parts, experiment with them until you feel comfortable, the amount of exercises shown are for variety. After your warm-up; Let’s start with the exercises that are more demanding. Performing these exercises first, when your energy reserves are at their highest is the smartest approach to weight training over 50 for the lower body. Let’s not worry about how much weight to use, start with nothing on the bar to feel the motion of the exercise and warm-up. this exercise works the quads, hamstrings and glutes. Have feet pointing straight ahead 8 to 10 inches apart, bar behind your neck resting on the shoulders, use a wide grip to stabilize the bar and yourself. Lower with your back straight into the exercise, bringing the rear legs parallel to the floor; push out to complete the repetition. On the next set add some resistance, but - only what you’re comfortable with. As confidence grows add resistance. This exercise works the big muscles of the quadriceps, placing the feet on the push pad 6 – 8 inches apart, unlock the safety handles so your legs now bear the weight. Lower the weight down to where you feel a deep stretch in the bottom of the exercise, push back out of the exercise, don’t lockout the knees, keep the movement smooth, with constant tension on the leg muscles. This exercise works the lower quadriceps closer to the knee, be sure to pick a resistance level you can handle on this machine. Keeping the toes pointed forward 6 - 8 inches apart - begin lifting: bring the weight up as high as you can and hold momentarily, release the weight down slowly under control, this provides a greater eccentric contraction. This exercise works the rear leg biceps, lying face-down with your ankles under the pull pad’s, begin pulling the weight towards you. Try to pull the weight as high as you can before lowering back to the starting position. Keep the resistance constant on the leg biceps muscles by not resting until the set is complete. This exercise works the overall upper legs and glutes, If you’re not used to this exercise, your first two or three workouts, I would suggest using little or no weight and performing one set as these do give a deep stretch. Holding light weight dumbbells step forward, keeping your toes past the knee, lower yourself down on the leg you stepped out with, on feeling the stretch, push back up to the starting position and perform the same exercise with the other leg. Understanding macro-nutrients and what foods to find them in, are important at any age. Protein: approximately 0.8 to 1g-per pound of body weight, if you’re over the age of 50 and active. It takes 2 to 3 hours to process 20 gms., remember were' over 50. We are not going to process extra food and macro nutrients like that of the 25-year-old. 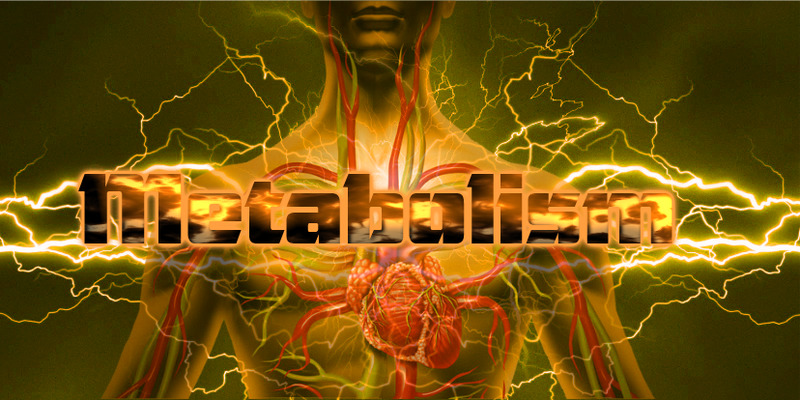 Cut–back the intake of protein, if you find you’re digestive system is struggling or slowing too much. 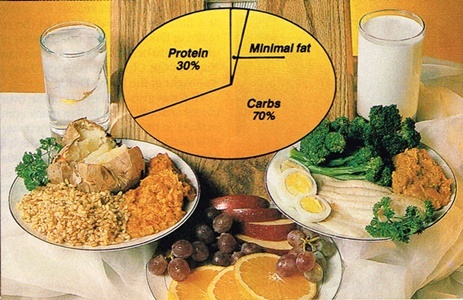 Complex carbohydrates: Complex carbs should take up 50% of your plate, they can be found in baked yams, sweet potatoes, even regular potatoes, brown rice, whole wheat pasta or bread, oatmeal, rolled oats, granola, etc. Healthy fats: come from sources such as: salmon, halibut sardines herring, avocados, eggs, etc. From the seed family: sunflower seeds, flax, hemp, peanuts and almonds unsalted, are all good sources, Just be mindful of over indulgence. One important requirement of diet and weight training over 50 is: stay hydrated! Drinking plenty of water is important. If your knew to weight training and over 50, keep your dream and goal related to your age and athletic ability. Challenging yourself with workouts and exercises like that of a fit 25 or 30-year-old, is not a realistic goal. Keep in mind challenging yourself with exercises like multi-joint, strength training exercises as shown here In weight training over 50, are some of the best; because compound exercises involve other muscles in each movement, they build strength and not just strength, but overall strength. Keep your movements slow, especially in the beginning as you’re learning, control the movements to build coordination and confidence. Keeping a 3 to 4 second count as you raise and lower the weight, you don’t get extra points for speed, only injuries. If you’re a complete beginner keep the sets per exercises at one or two, and the resistance regulated to produce 8 to 10 repetitions. As strength increases be progressive, meaning: add more weight, (but don’t get caught up in this, as you increase resistance, keep good lifting form); use the weight to build strength, not invite injury.